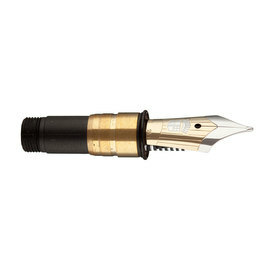 It's the same nib, but with the new coat of arms and is available in all widths from EF to OB. 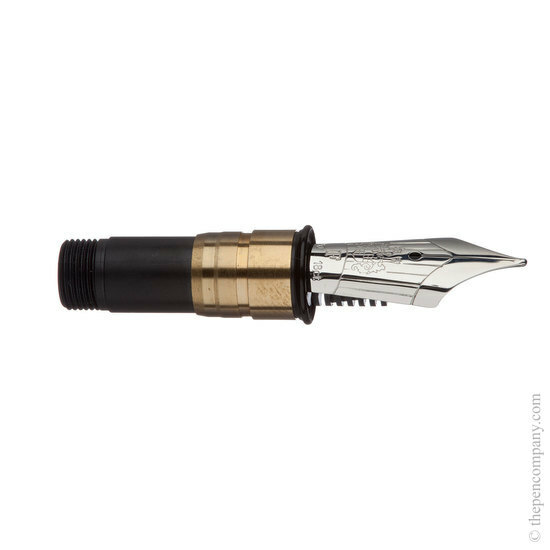 The Graf and the Faber-Castell nib units both use the same feed and outer casing - the Graf nib units have the additional brass ferrule which slips over the outer casing of the nib unit - this can be removed and will then fit into the Ondoro and other Faber ranges. The nib unit for the Guilloche, Classic and Intuition would all be suitable - the only difference being that the Guilloche nib unit is fully rhodium plated, whereas the Classic and Intuition are both bi-colour nibs, with the Intuition bearing the new Graf coat of arms. If you would like the Ondoro supplied with a Graf nib, let us know and we will change it over for you and charge the difference between the cost of the steel and gold nibs.